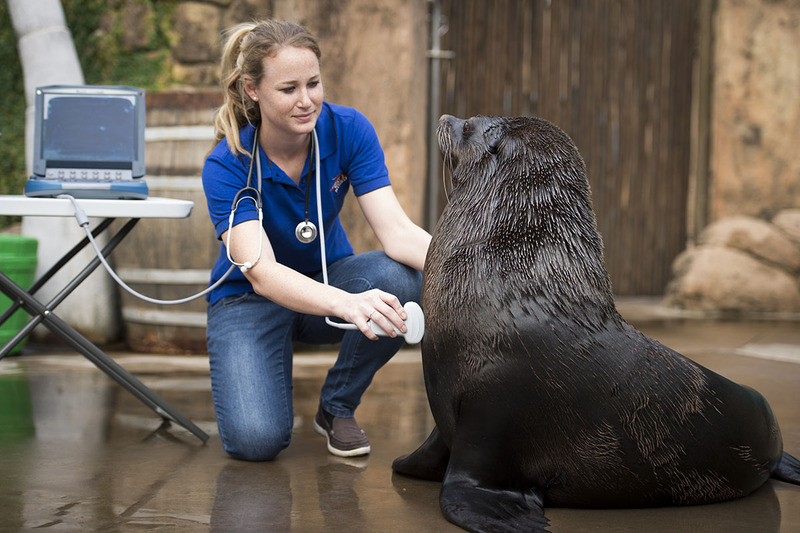 The health of our animals is critical to all that we do at uShaka Sea World, but animal health incorporates a lot more than the occasional visit by a vet. Nutrition, husbandry, behavioural and environmental enrichment, water quality, feeding methods and social interactions between animals all influence the well-being of our animals, and each must be considered in the development of an animal health programme. 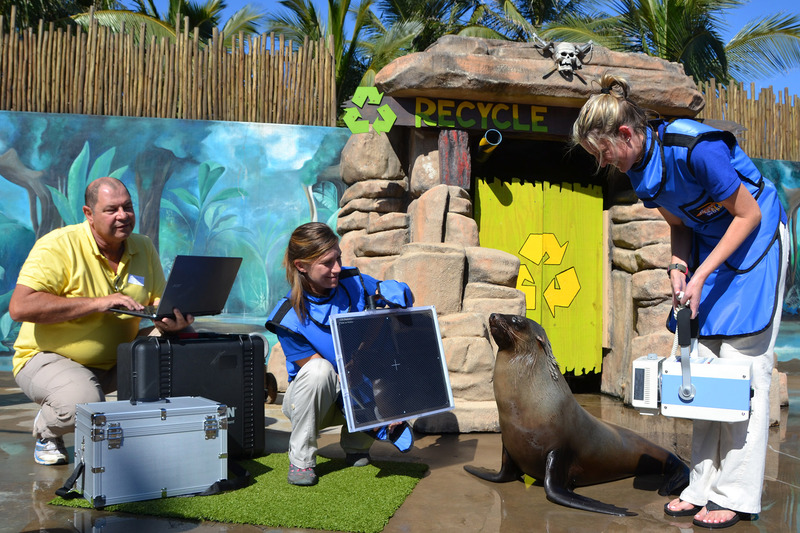 The dolphins, seals and penguins are weighed regularly, as body mass is an indicator of animal health. This is done with minimum fuss. The animals are trained to position themselves on a slide-out scale before receiving a tasty treat for their efforts. Did you know that each penguin has a name and their keepers can identify them individually. They also have a unique tag to make it easy to see who is who. 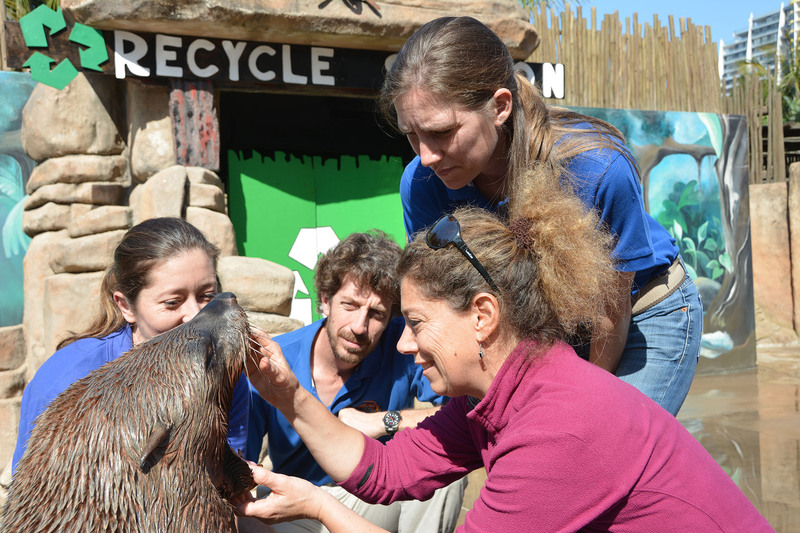 Individual turtles, sharks and even fish are given the same dedicated care. uShaka Sea World has its own team of gourmet chefs who operate two kitchens .The chefs prepare tailored diets to each animal. The diets are put together with the most up to date scientific information, and are customized per individual animal The veterinary hospital and the aquarium quarantine facility are well-equipped to achieve many specialized medical procedures including general anaesthesia, surgery, ultrasound, X-ray and gastroscopy. Our team of two qualified veterinarians, supported by a vet nurse, technical staff and record keepers, are able to handle a diversity of medical situations. 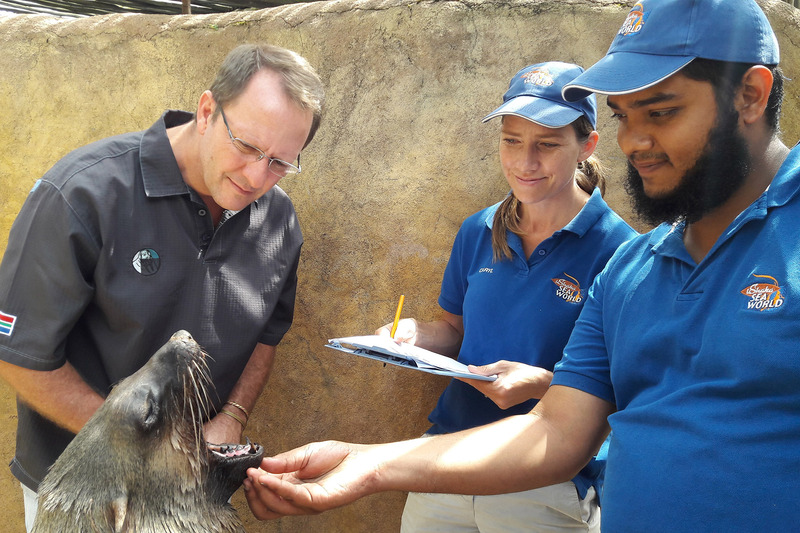 uShaka Sea World consult and collaborate with experts and specialists around the world to ensure that our animals receive the best possible care.